Colour Coding, Locking Wheel Nut Removal in the Nottingham, Derby & East Midlands area. We are a specialist wheel repair and refurbishment business in Nottingham offering premium quality work at affordable prices. Focussing on achieving the highest possible standards backed by friendly and helpful service. 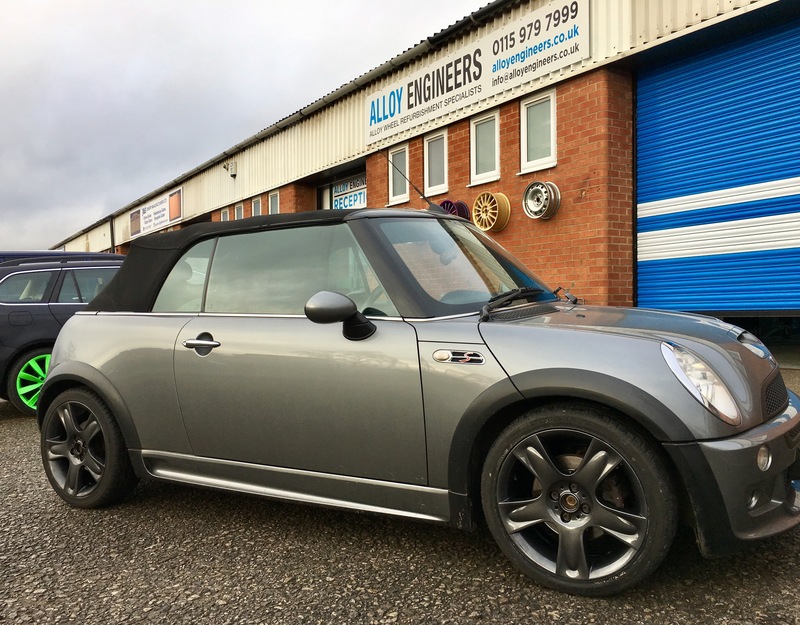 Welcome to Alloy Engineers, Nottingham, bringing you state of the art alloy wheel repairs, refurbishment and custom finishes for all makes and models of car. If your wheels are cracked, buckled or just scuffed and in need of a polish, we can help. We are an independent family run business dedicated to combining the very best customer service with an extensive range and quality of finish that is second to none. Alloy Engineers offer a same day service leave your car with us before you go to work in the morning and you car will be ready and waiting for you when you finish work. We also offer recolouring and polishing work, custom paint finishes and colour matching. If you want to change the look of your car, contact us today for more information or to book our services. Thanks to the team at Alloy Engineers. Wheel came out better then expected after a cracked alloy. Very quick service at short notice with out prior booking. Always hated that no matter how clean my car looked my wheels let it down, heavily curbed, corrosion and flaking paint made the rest of the car look poor, i decided to visit alloy engineers after Suzy dropped a leaflet at work and was very impressed with the set up when I walked in, after speaking with David about my options and the great price I decided to go for it, picked the car up today and was blown away with how amazing they look and how it’s transformed the look of my car, i would recommend alloy engineers to anyone who needs their wheels refurbished or even a tidy up, thanks David for an amazing job, and Suzy for your generous offers of a lift home and to work, all the best for the future. I had an ongoing problem of my tires losing pressure, due to a poor seal between alloys and tire. Which meant several trips to “tire specialists” to have them resealed, which did not last long. So a lot of cost and never a mention as to the poor condition of the alloys. I called in at Alloy Engineers for them to give me advice. They suggested a complete refurb to bring them back to as near new. I would definitely recommend anyone with alloys, especially anyone like me with a “mature” car to have them inspected by this, very friendly helpful family business. 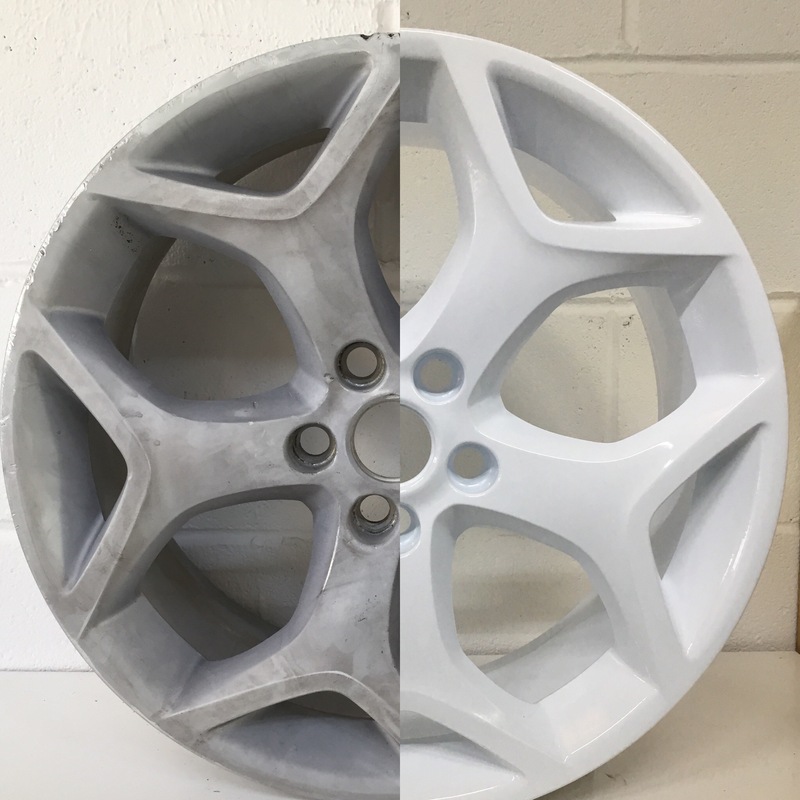 We offer a specialist alloy wheel refurbishment, repair and custom finishing services to the trade, custom car clubs and enthusiasts that is second to none. We have invested heavily in state of the art plant and equipment to ensure that every wheel that leaves our workshop is finished to the very highest standard possible.